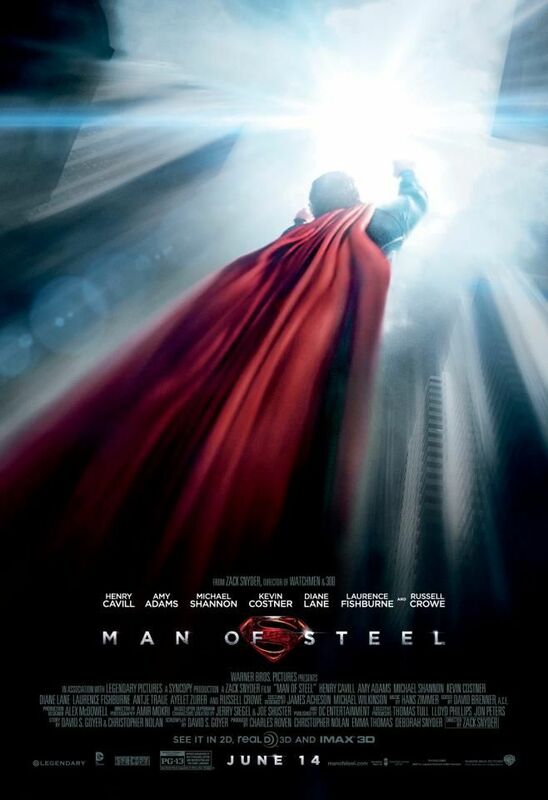 Randy Finch's Film Blog: Can Man of Steel Vanquish a Homegrown Foe in China? Can Man of Steel Vanquish a Homegrown Foe in China? In a fascinating June 24th, 2013 Hollywood Reporter article, Clarence Tsui picks apart the latest box office numbers from mainland China - demonstrating how Superman's lead in the Chinese box office can be attributed to success in the biggest cities - while second and third-tier city audiences (paying the lower ticket prices typical in the provinces) are apparently favoring the new Jet Li movie. "The much-hyped Hollywood blockbuster [Superman: Man of Steel] has topped China’s weekly gross rankings through strong showings in Beijing, Shanghai and Guangzhou; but outside of these so-called "first-tier cities"... the Jet Li-starring homegrown comedy police actioner Badges of Fury has been more widely viewed, with the film securing more shows at regional cinemas than Man of Steel." "Man of Steel took $6.5 million (39.9 million yuan) on Sunday [June 23rd, 2013], from tickets costing an average $6.67 (41 yuan); Badges of Fury, meanwhile, pulled in $5.1 million (31.1 million yuan), but from tickets costing considerably less, at an average of $5.21 (32 yuan)." Why are the attendance figures (i.e., butts in the seats as opposed to dollars in the till) so good for Jet Li in the provinces, and why are there two average ticket prices in China? Movie tickets are paid out of what economists call "discretionary income" - meaning the money left over after covering the essential costs of living. And movies, right now, represent a luxury that only the highest earners can regularly afford in China. But the people with money to spend in second and third-tier Chinese cities aren't apparently being lured by Hollywood's latest blockbuster films - many choosing instead local movies like Badges of Fury. The lower prices of movies in second-tier cities is partly a function of lower salaries there. For example, engineers in first-tier Chinese cities can make more than 10,000 yuan a month (US$1,628), 5 times as much as engineers in the provinces. Even in the most prosperous cities, as a percentage of total income, movies remain a luxury in China - with a ticket to a movie costing several percentage points of an average month's discretionary income (defined as gross income after paying taxes and all other necessary payments). One of the things that is most noteworthy about the current boom in Chinese motion picture box office is that the audience in China is paying on average over US$5 per movie ticket. While US audiences pay slightly more per ticket (averaging US$7.94 per ticket in the fist quarter of 2013), the Chinese audiences are relative to income paying more AND they're passing up ubiquitous cheap "pirated" DVDs to opt instead for going to the theaters. Why are Chinese audiences paying a much larger share of their income than US audiences for the privilege of going to see a movie in a theater in 2013 - and why is "piracy" not luring more of them away from the theaters? Most importantly, why are modestly-budgeted Chinese movies appealing so strongly to the provincial audiences - even after Hollywood has spent million on blockbuster special effects to create a unique theatrical experience? As filmmakers we may believe our films are essential. But money spent on items like entertainment and other goods and services that are elective are generally treated as non-essential by economists. And, in China, movie tickets eat up a larger share of discretionary income than we're used to paying for films in a theater in the US (where one ticket = roughly 0.5% of average discretionary income). In 2013, Chinese movie-goers are paying a lot for the privilege, and they're bypassing "pirated" options and it seems Chinese audiences want local faces and stories when they part with their hard-earned yuan. Why aren't lavishly-produced Hollywood imports working like they were just a year ago inside China? What must Hollywood do (e.g., more tinsel?, more "token" appearances by Chinese stars in big Hollywood films, etc.) to recapture its market share among the growing provincial Chinese audience? Or is the recent success of Chinese movies in China the result of insurmountable protectionism by SARFT - reshuffling and stacking the deck in favor of Chinese films (e.g., giving Jet Li more theaters in the provinces than Henry Cavill)? Or is there something more fundamental at play about the stories that work in theaters in China?